A giant manioc has been unearthed in a field of farmer Ha Bay, in Khanh Vinh District, in the central coastal province of Khanh Hoa. The giant manioc has been unearthed in Khanh Hoa Province. Planted two years ago, the manioc grew to 2.2 meters long with a weight of 34 kilos. Because of price decreases, Mr. Bay waited to crop the manioc. The giant manioc is being displayed at the office of the People’s Committee of Giang Ly Commune. It may be the biggest manioc in the country. 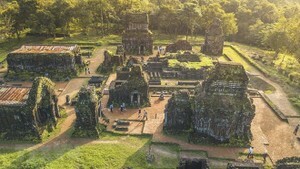 Previously, farmer A Ly, of the highlands province of Kon Tum, grew a manioc that measured 1.7 meters long and weighed more than 5 kilos. 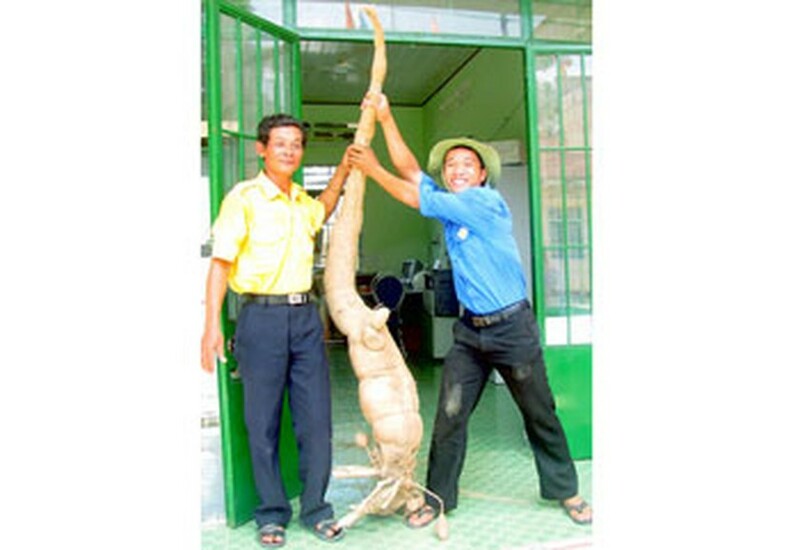 The last record was set up by farmer Vo Ngoc Binh in the central province of Binh Dinh who planted a 20-kilo manioc in his garden in October of 2008.